Innsbruck - Internationally known as the “Heart of the Alps”, two-time host of the Winter Olympic Games (in 1964 and 1976), and one of the greatest ski cities in the world, the capital city of the Austrian Tyrol. That it just happens to be surrounded by some of the best skiing in Austria makes it a premier destination for those who seek a broader European experience than simply skiing. Nestled into a narrow valley beneath rugged mountain peaks, it offers both beauty and culture with Old-World charm, rich museums and galleries with easy access to the country’s world-class ski resorts. 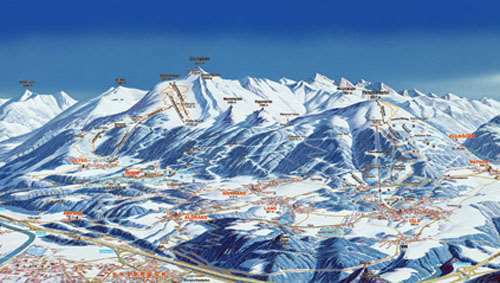 Igls and Mutters appeal to the novice and intermediate skiers with long, wide-open trails; Patscherkofel at 7,490 feet and Hafelekar, which is reached by a series of lifts at the edge of town, offers steep, challenging runs for the more advanced skiers; Axamer Lizum, expanded for the 1976 Olympics, has a wide variety of trails for everyone, especially the Women's Downhill Course which is a favorite of intermediate skiers; Stubai Glacier, with 18 lifts, 35 miles of well groomed and marked runs and a vertical drop of 4,790 feet guarantees great skiing year round. 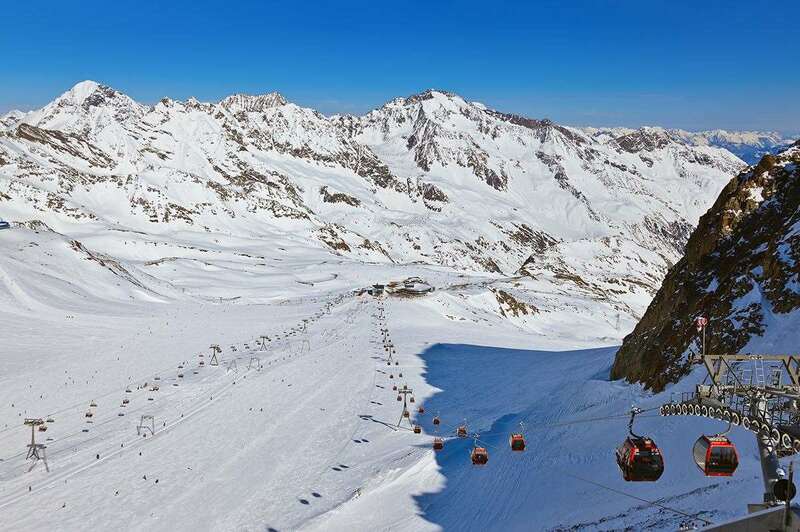 The ski regions of Olympia SkiWorld Innsbruck, where snow is guaranteed, offer access to 285 km of pistes and they are perfect for skiers, free riders, snowboarders and fans of powder snow. The famous cross-country area Seefeld is within easy reach. Other close by activities include sleigh rides and tobogganing or an exciting ride on the Olympic Bobsled run. Innsbruck's night-life, shopping, museums and more will keep you busy after skiing. You may also enjoy some of the daily excursions to Vienna, Venice, Salzburg, Bavarian Castles, Kitzbühel and St. Anton available to all guests of Innsbruck. • mountain ski huts offering convivial atmosphere. Innsbruck airport is just a ten minutes drive from resort, other surrounding airports are Munich (3 hours), Venice (6 hours), Salzburg (3 hours) and Verona (4 hours 30 mins).